Sadly all good things must come to an end… Milan Design Week is over but at least we can look back at all of the incredible new things we presented and the beautiful spaces we created. As always we were presenting novelties at the fair, in our showroom and various spaces around the city at the Fuori Salone. Here below is a quick recap, just click on the links to see more. 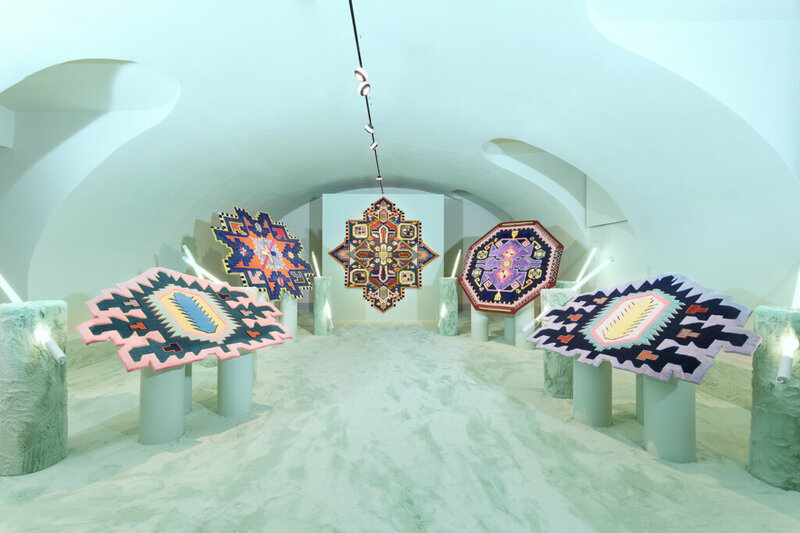 Milan Design Week 2019 may be over, but remember that our show “Spectrum: Killer Knots from Outer Space” can still be viewed in our showroom until mid-May. 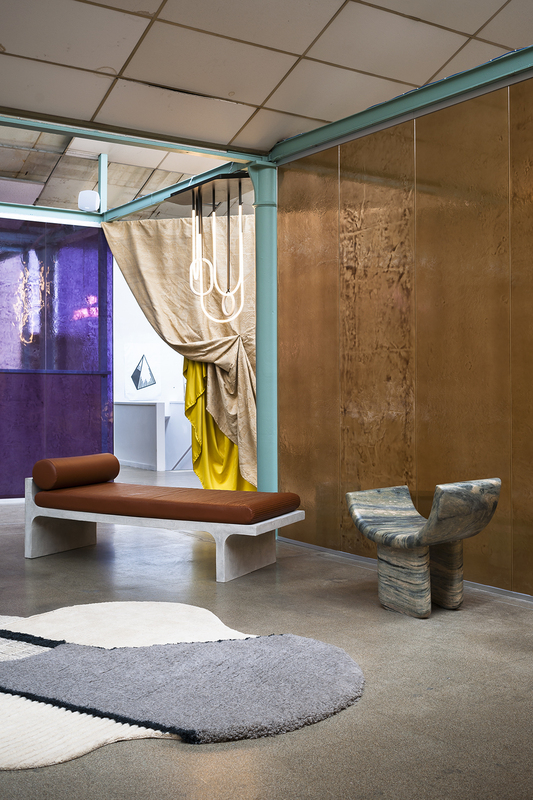 The cc-tapis stand and showroom got a science-fiction-makeover by Studio MILO, with furniture from Atelier De Troupe and Chepal Petrassi. 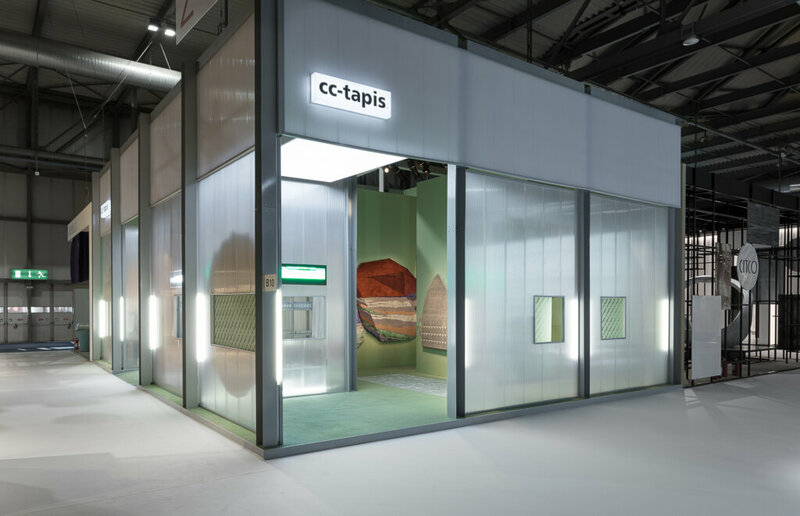 cc-tapis presented new collections designed by Patricia Urquiola, David/Nicolas, Martino Gamper, Maarten de Ceulaer, Germans Ermics, Jean-Marie Massaud, cc-tapis Design-Lab, Cristina Celestino, Mae Engelgeer and Studiopepe. Click here to see all new collections. 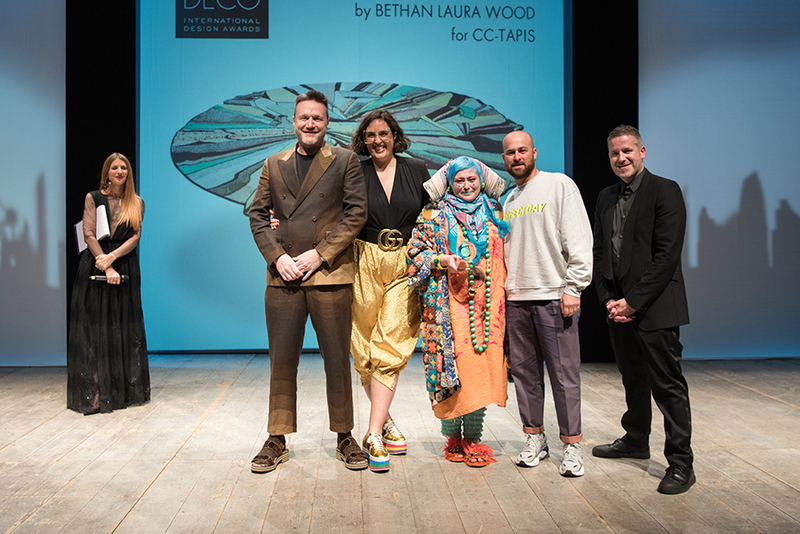 cc-tapis was awarded the StylePark award with the Fordite collection by Patricia Urquiola and the EDIDA with the Super Fake collection by Bethan Laura Wood. 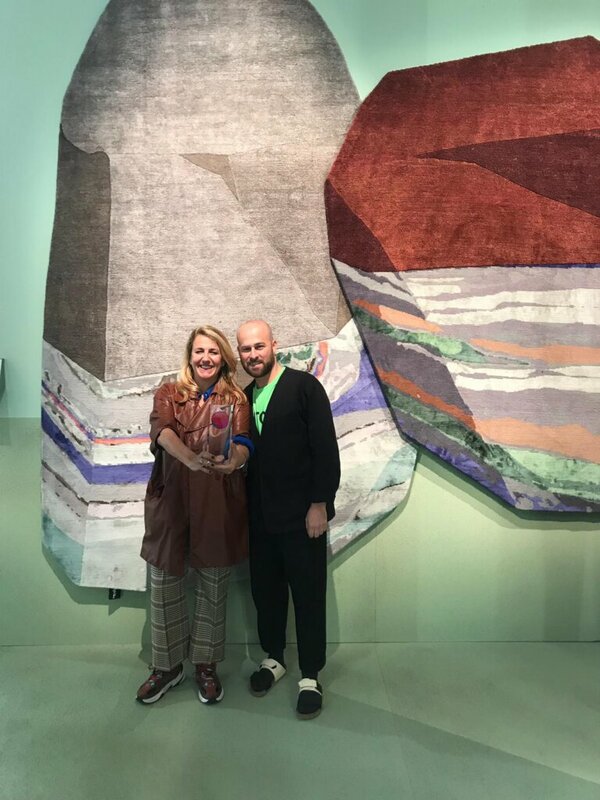 Patricia Urquiola and Daniele Lora (cc-tapis co-owner) with the StylePark Award and the Fordite collection. 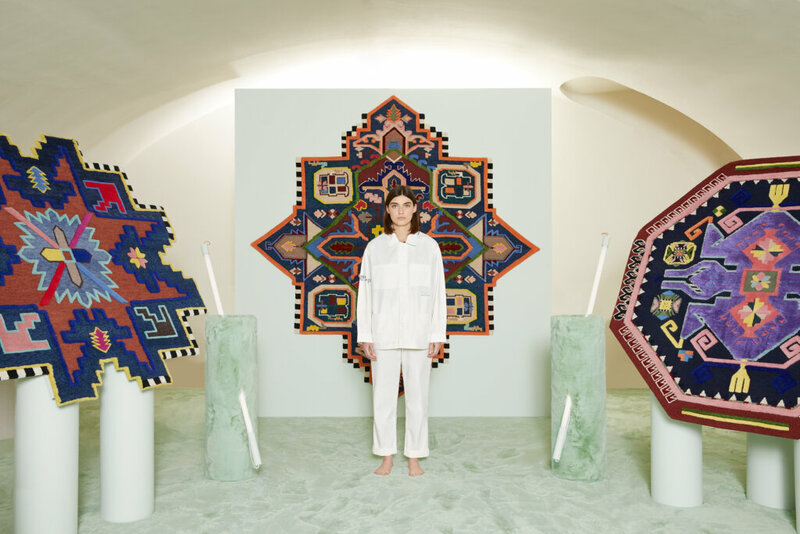 During Milan Design Week 2019 we had the pleasure to participate in beautiful installations around Milan for the Fuorisalone from: Vogue, Studiopepe, SuperStudio and Spotti. 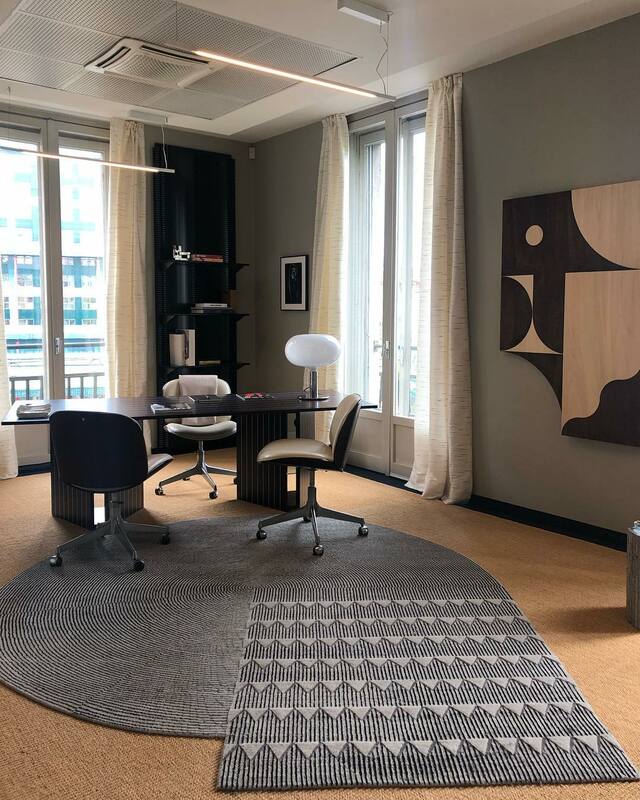 David/Nicolas Plasterworks C rug at Vogue director’s office during the exhibition Life in Vogue. 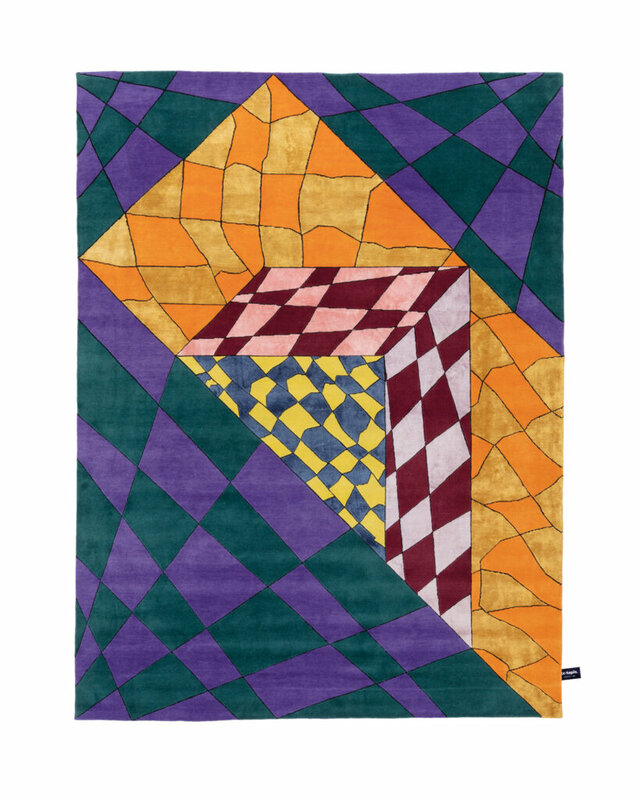 Lunar Addiction rug designed by Studiopepe. at the Les Arcanistes exhibition.